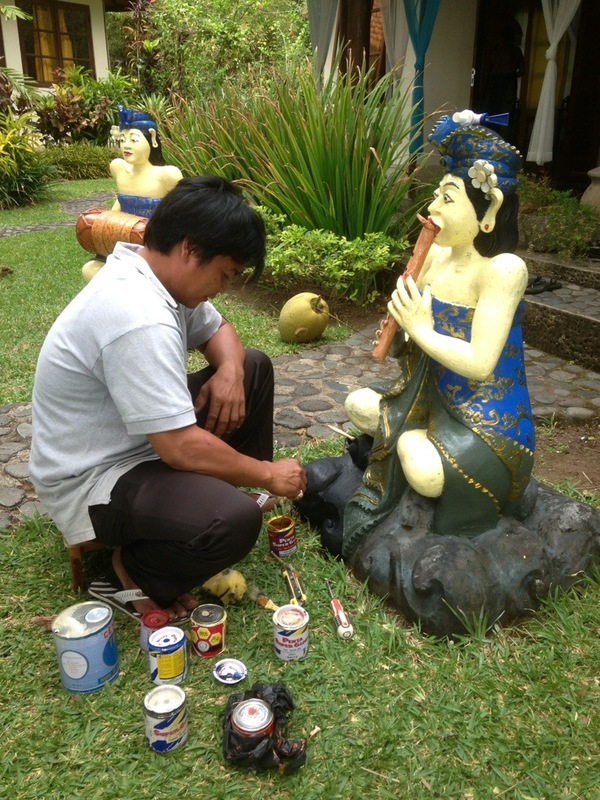 On the quiet, less developed north coast of Bali there’s a retreat center called Gaia Oasis. Kathryn and I first “discovered” this place during our first trip to Bali in 2008. Since then, we’ve made it a regular rest stop during all of our trips to support the Bali Children’s Project. This is my third visit and Kathryn has been here five times so she knows the staff and greets them warmly when we arrive. We found the Gaia Oasis when we booked a 3-day excursion out of Ubud, Bali’s primary cultural center. The tour included a visit to the volcano and two nights at the retreat center. You reach the center by taking a path through the jungle. The path ends at the reception center where you receive a coconut to drink. As soon as we arrived, we recognized how much this place reminds us of our annual family retreat. (see previous post). The center was founded by Germans and still draws most of its clientele from the continent. In fact, we met another American family a few nights ago, and they are the first ones we have ever met. I should note that the family is currently living in Marrakech, which is a little different that bumping into a family from the midwestern US in Myrtle Beach, SC. Whenever we’re here in August, there are seminar groups led by Lex van Sumeren, who is a big New Age musician from Germany. Remember New Age? I thought it had passed into the great mini-storage unit in the sky but I guess it’s still around. Good ideas just never die. Gaia is a logical place to hang out with New-Agers, as you can probably tell. It’s also a great place to charge my batteries before my long trip to Madrid tomorrow. I figured out that I’ll be 25 -1/2 hours in transit, which is even longer than my LAX-Bali flights. I’ve got two long layovers in Jakarta and Doha, so perhaps I’ll have time to write another post. 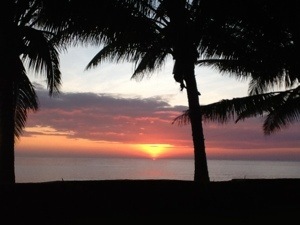 In the meantime, I’m savoring the last few days in Bali. A few pictures below from Gaia Oasis, including a shot of some young local dancers. 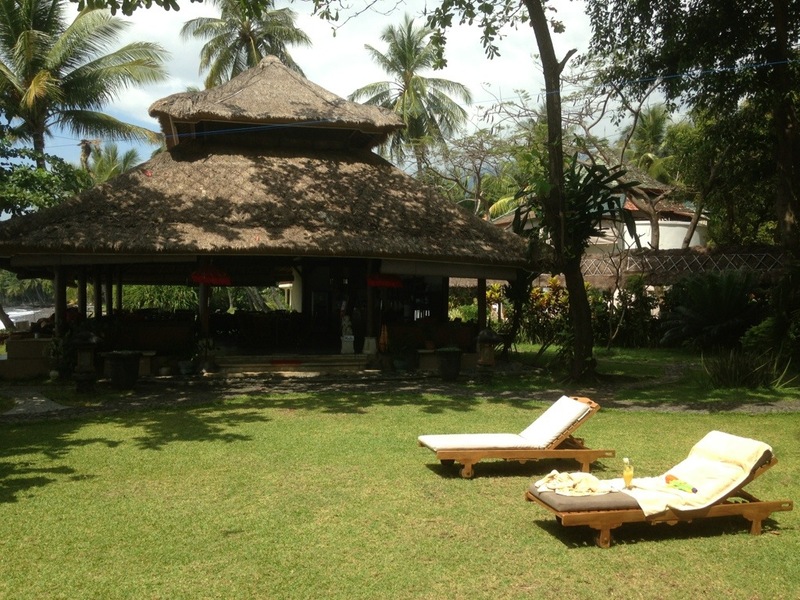 This entry was posted in Travel and tagged Bali, Gaia Oasis by rambler1959. Bookmark the permalink.